The birds were chirping and the sun was shining- it was a perfect day for the SPCA Egg Hunt! The 2nd Annual SPCA Easter Egg Hunt was on Saturday, April 12, 2014. In attendance were nearly 200 children and their parents, representing the largest number of people to be in the Petting Zoo at one time. Additional parking was available thanks to Hampton Roads Crane & Rigging and Richmond Steel. At the event, children could take pictures with the “Easter Puppy”, snack on baked-goods from the bake sale, and of course, hunt for eggs. 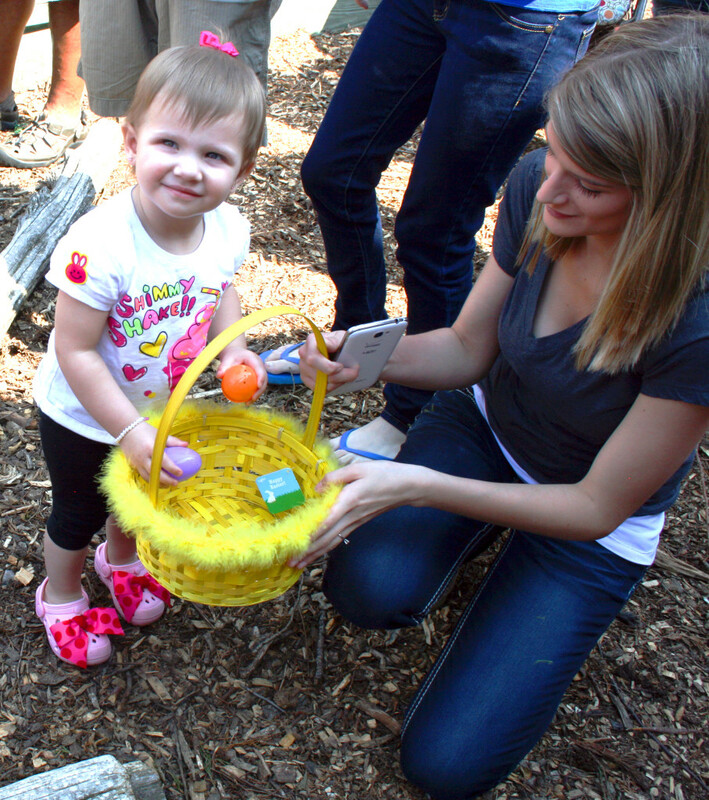 The SPCA Easter Egg Hunt took place in the petting zoo- animals and all! Alongside our goats and llama, children looked high and low for colorful Easter eggs, which were hidden throughout the entire barnyard. Fitting with the theme, the even cow from the Chick-Fila-A at Christopher Newport made an appearance. Every child received a goody bag filled with candy, free petting zoo passes, and items from the YMCA, Newport News Libraries, and Rebounderz. With a registration fee of just $5 per child, the Easter Egg Hunt raised $1,001 for the homeless animals of the Peninsula. On July 1, the Peninsula SPCA will become an “Adoption Guarantee shelter” and will rely solely on donations and support from the surrounding community. Save the date for next year’s egg hunt: March 28, 2015!